Life is short. You only get a certain amount of getaways in your lifetime, so what’s the harm of going large?! If you’re looking to splurge on a luxurious stay in Chicago, you’ll be sure to find plenty of enticing options. Sure, there are countless boutique hotels and upscale accommodations that you could explore. 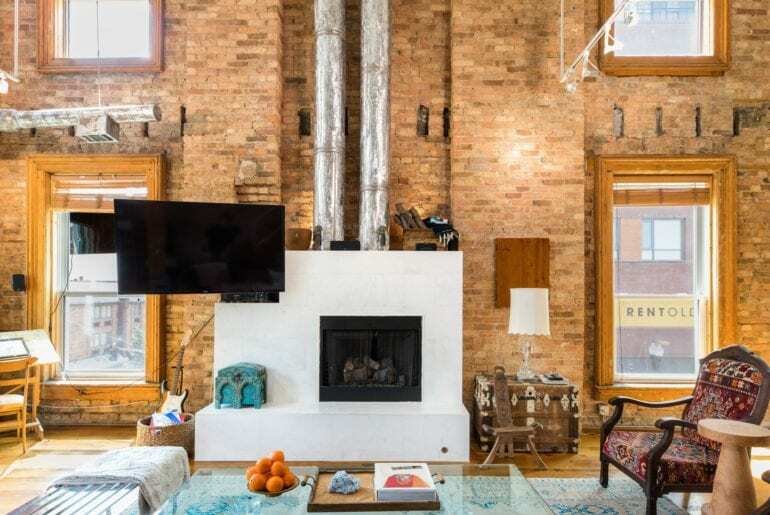 But if you’re looking for out-of-the-norm lodging, we recommend opting for a Chicago Airbnb rental. 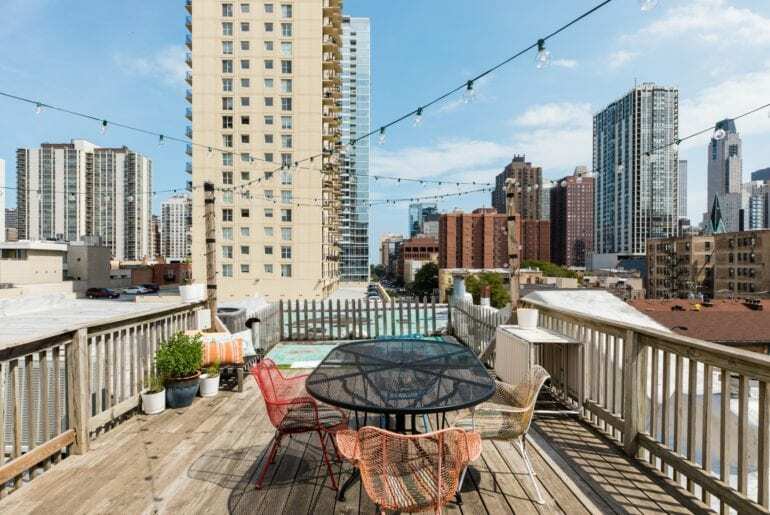 Plenty of city dwellers in the Windy City are more than willing to open their homes for those looking for a unique stay. 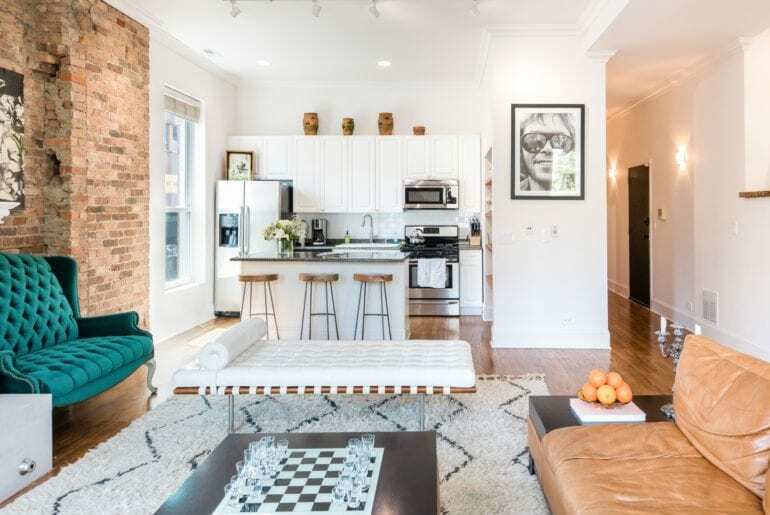 These seven Chicago Airbnb vacation rentals make it possible to enjoy a lavish stay in neighborhoods away from the traditional hotel and tourist districts. 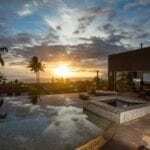 So whether you’re looking for an elaborate, adventure-filled trip or a relaxing staycation, check out these fantastic listings. This home is sparkling with architectural brilliance. 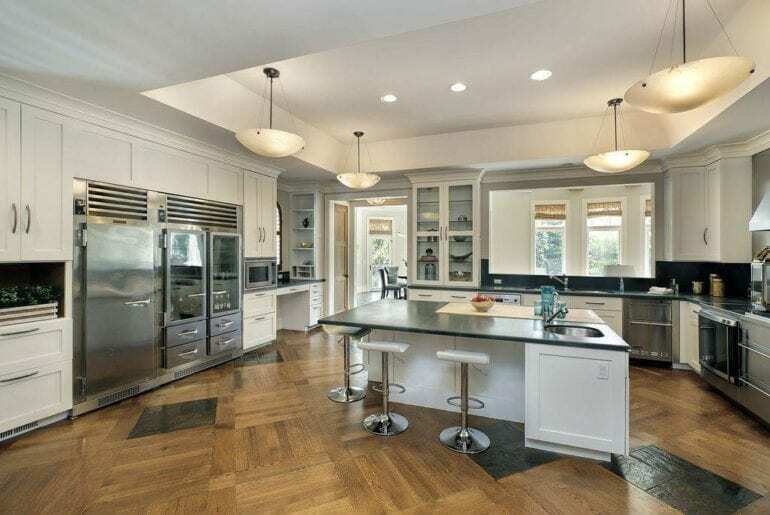 The 4,500 square feet of space is made up of a main house and guest host, connected by the kitchen. 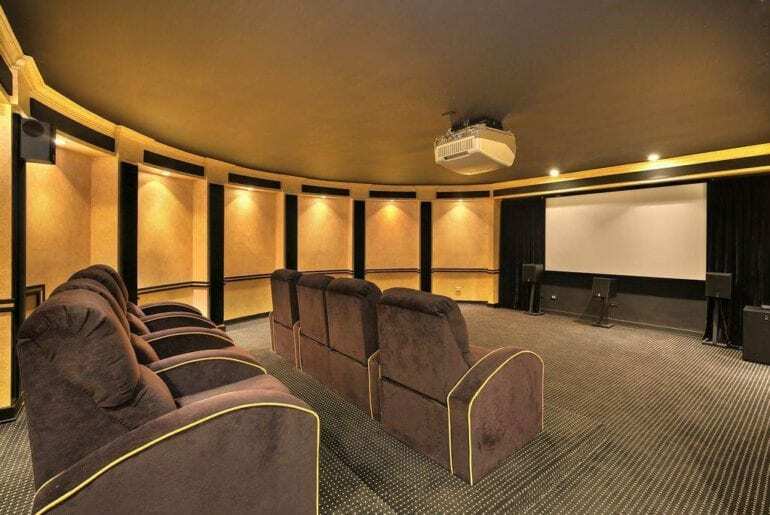 In addition to the five bedrooms, five bathrooms, and an art studio, there is also a high-tech media room! The outdoor garden has a lot of open gathering space, perfect for entertaining and grilling. When you go up the stairs of the main house, you will find an enormous living room/gallery space complete with a Steinway Grand Piano. Each year the fine art featured in this room showcases a leading global artist. Also featured on this floor is a 14th century Tibetan Monk Chest and a 40,000-year-old Wooly Mammoth tusk! 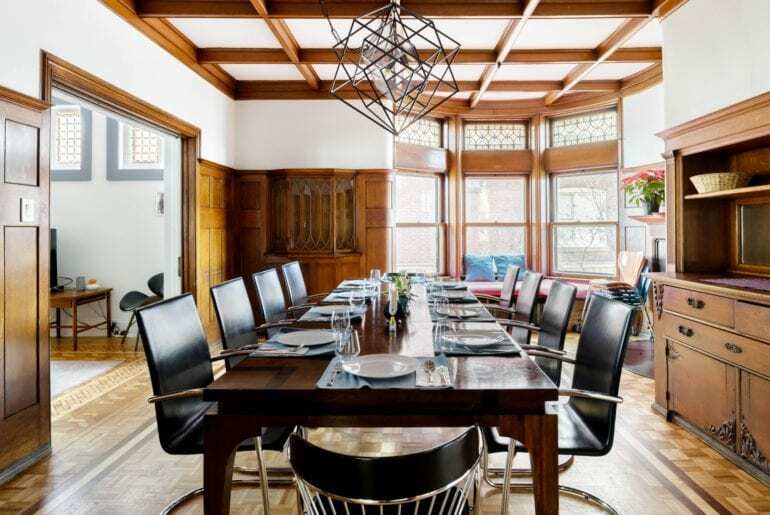 Located in the historic neighborhood of Uptown, this 100-year-old house is one that will be sure to connect you back to the bygone era. 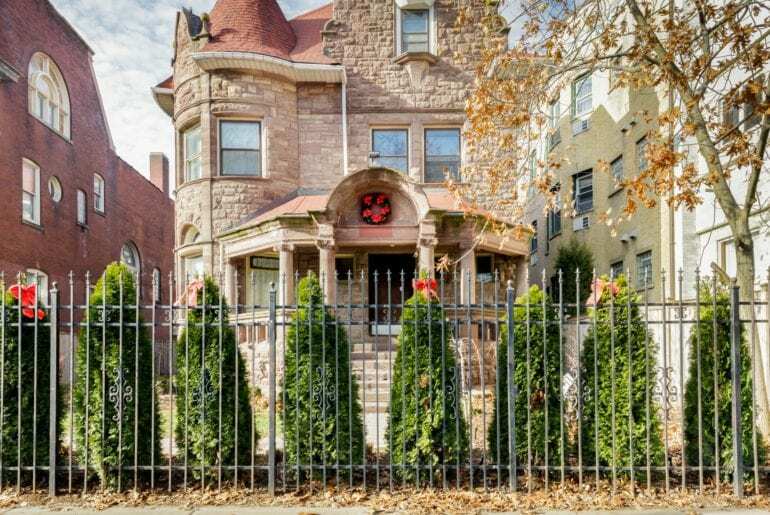 This mansion offers nine bedrooms, 3.5 bathrooms, five parking spots, and two living rooms! Providing plenty of space for the whole crew. Uptown is known for housing some of the best music venues in the area. Some of the most popular include the iconic Green Mill Jazz Club and two venues that were ballrooms in their previous lives, The Riviera and The Aragon. The bright colors, radiant flooring, and unique architectural designs give this home plenty of modern flair. The backyard is the perfect spot to relax after a fun-filled day of sightseeing! Hang out by the fire pit and grill up some dinner. If you’re in the mood, you could also head indoors for a competitive game of pool. Have a large group? Look no further. This three-flat home is all connected but lock independently and can sleep a total of 32 people! There is also free off-street parking. 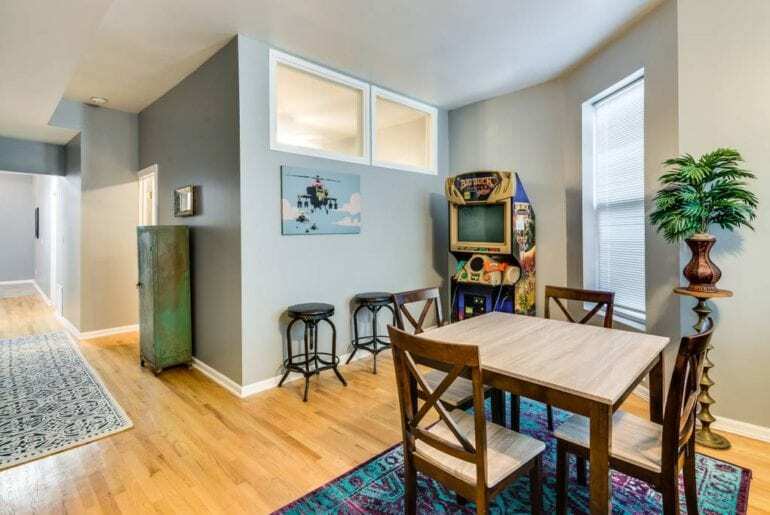 The walls are covered in street art, and every floor has its own bathroom, kitchen, patio, and arcade game. 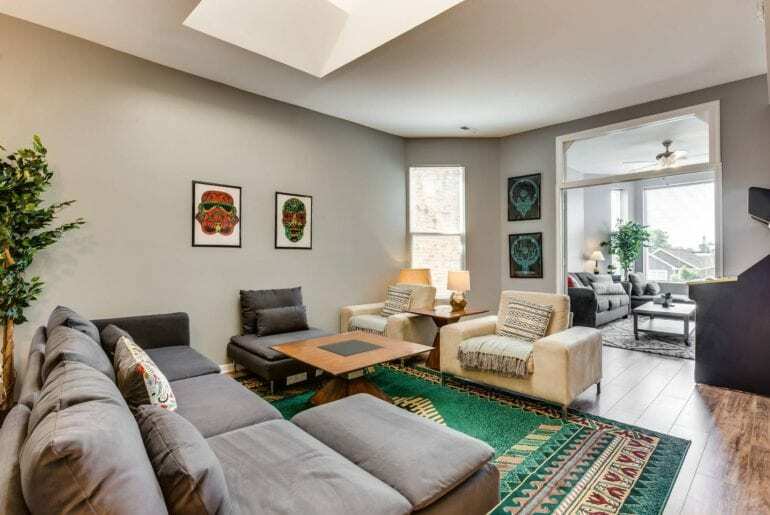 The spacious layout is sure to impress as well as the modern decor. 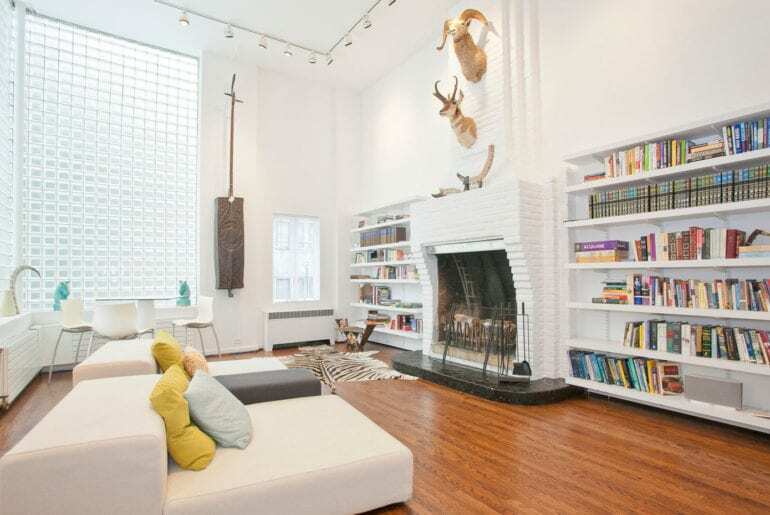 The large windows add an energetic vibe that brings a sense of “homeyness” to the space. The neighborhood also offers an abundance of things to see and do, including Garfield Park Conservatory. The entire west side Chicago neighborhood is filled with produce markets, picturesque gardens, and unbeatable local cuisine. If you’re in the mood for shopping, head to Madison Street for some of the best spots! 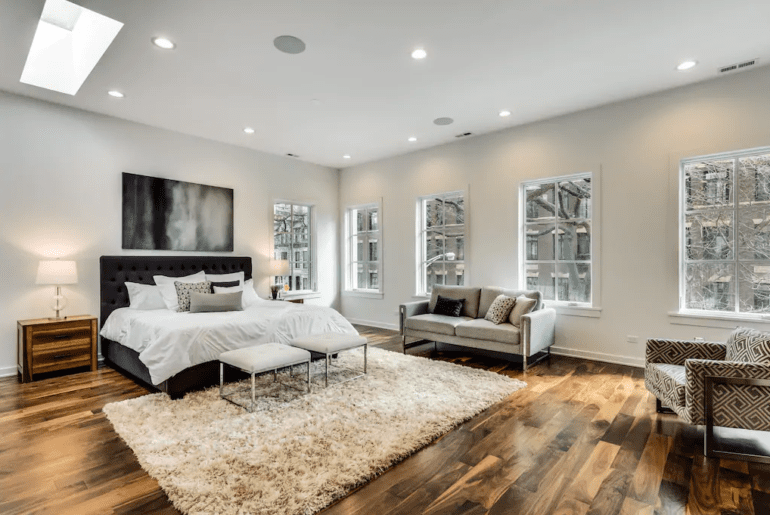 Just 30 minutes from Downtown around the corner from Ravinia, this fabulous estate is ideal for those wanting to live first-class while in Chicago. 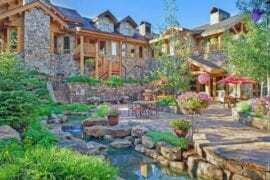 There are seven bedrooms, 6.5 bathrooms, and an indoor movie theater! 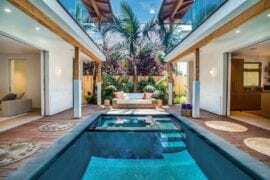 Escape the hustle and bustle of everyday life and relax by the pool and spa of this gorgeous home. There’s a heated pool, hot tub, and a tranquil rock waterfall – perfect for unwinding after a long day. Upon entering the home, you’ll be amazed by the giant kitchen with double ovens, double dishwashers, and a professional gas stove! The dramatic entryway atrium leads you to the living space where you’ll find a grand piano and plenty of comfortable seats for the whole group. If you want to get off property for a while, there’s plenty to see and do in the area including the Chicago Botanical Gardens. 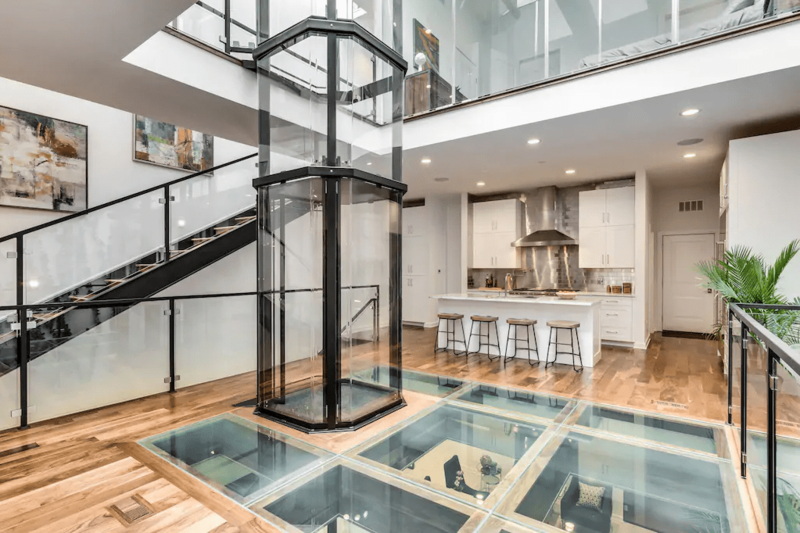 In the heart of Downtown Chicago, this 2,500 square feet penthouse is a favorite rental among many, including Airbnb founder and CEO, Brian Chesky! 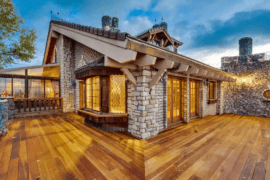 The loft-style home is luxurious and homey, and it will soon be one of your favorite home-away-from-home. 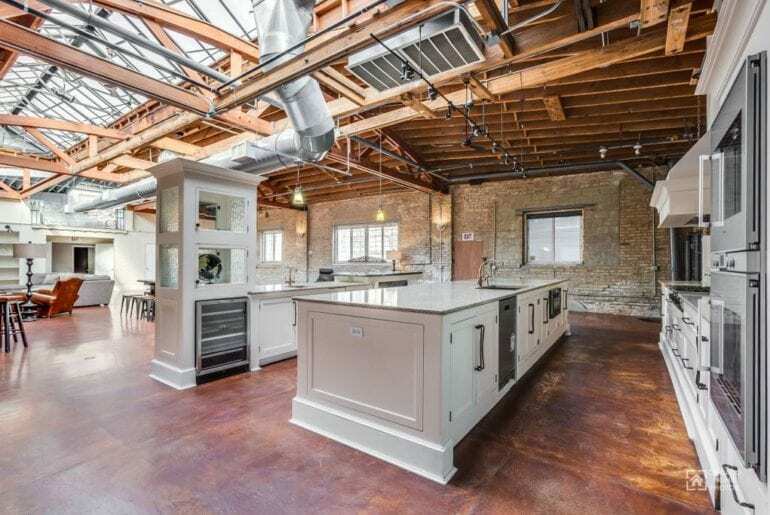 Built in 1897, this penthouse loft received a full renovation in 2016. 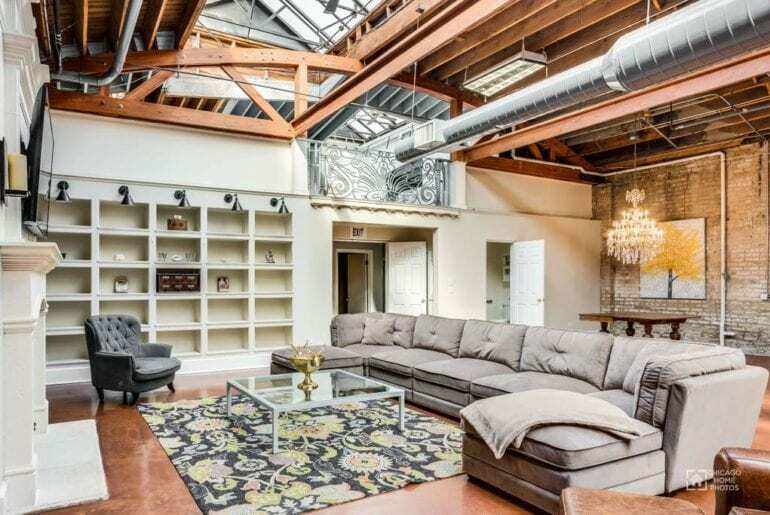 It features vintage furniture, exposed brick, and 20-foot ceilings. The rooftop deck offers breathtaking views of the Chicago skyline, perfect for sipping your morning coffee. There’s also a grill available for your use! Inside, the bright, rustic decor creates a welcoming atmosphere. 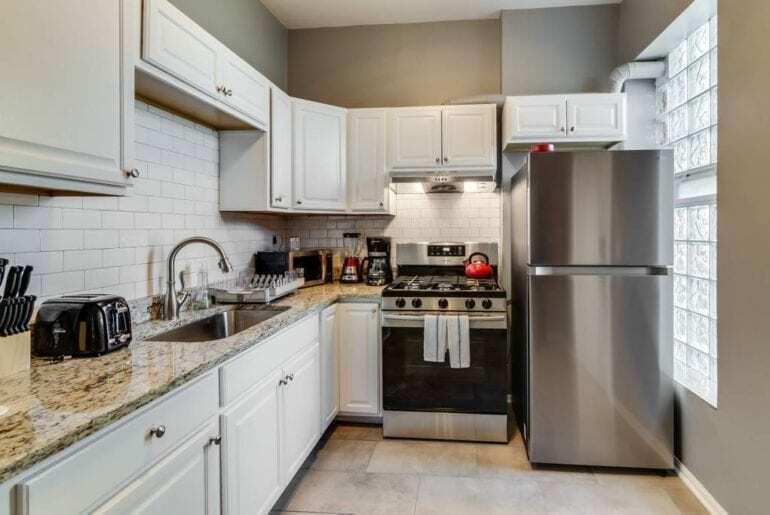 With three bedrooms, two bathrooms, and a fully equipped kitchen, this is an excellent rental for groups. The bedrooms are spacious, and each has king sized beds and views of the Sears Tower. If you’re lucky enough to score the master bedroom, you’ll also enjoy the ensuite bathroom with a rain shower, Jacuzzi, and heated flooring! You’ll be between three of Chicago’s favorite neighborhoods and within walking distance to some of the top-rated bars, restaurants, and shopping. You’ll also be just two blocks away from the Western EL train stop and 15 minutes from Downtown! 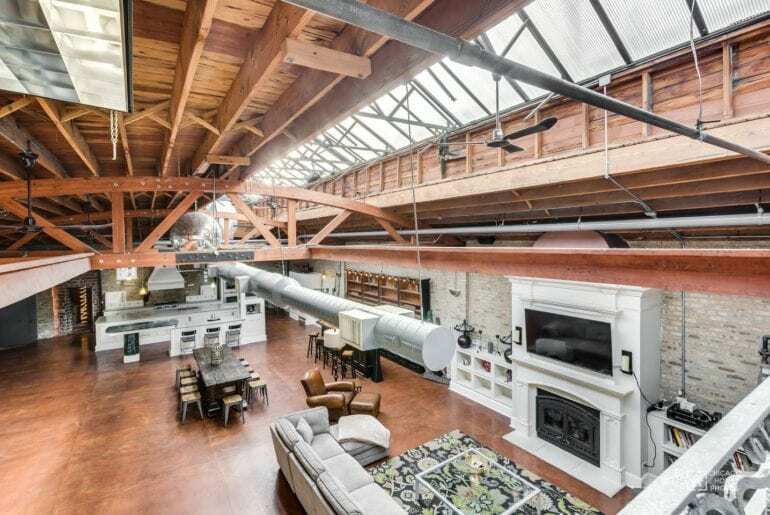 Designed for larger groups, this seven bedroom 5,307 square foot loft is unique and eclectic. The 26’ timber beamed ceilings and multiple skylights throughout the central area contribute to an energizing brightness. 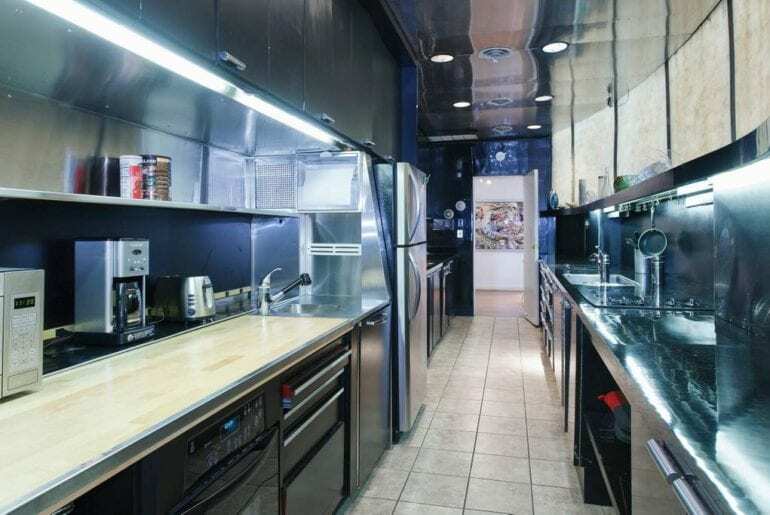 The massive gourmet kitchen is undoubtedly the centerpiece of the common area. 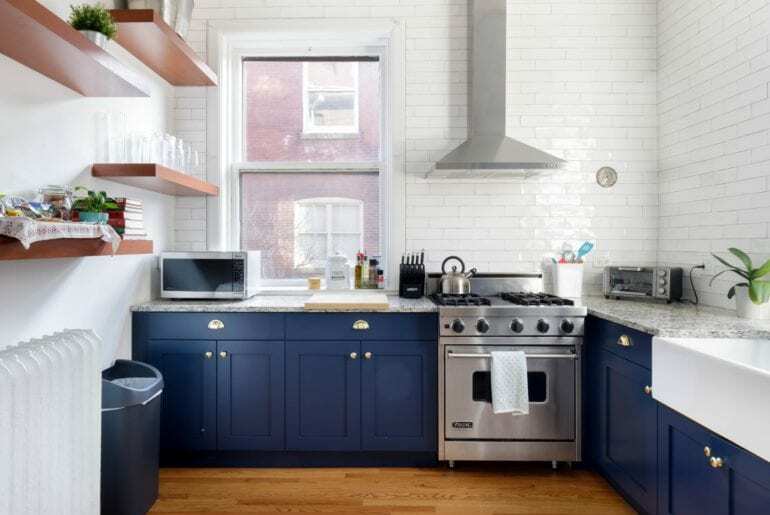 It has state of the art appliances and plenty of seating to enjoy all the delicious meals. The brick smokestack stairway leading to the master bedroom is a cool detail of this funky home. There is also a full-size bar, garden patio, rooftop deck, and three designated parking spots. This five bedroom, five bathroom home is engulfed in jaw-dropping sophistication. The spacious floor plan with tremendous ceiling heights, along with the well placed windows flood this home with natural sunlight and warmth. There is gorgeous limestone facade leads the way to the beautiful atrium. 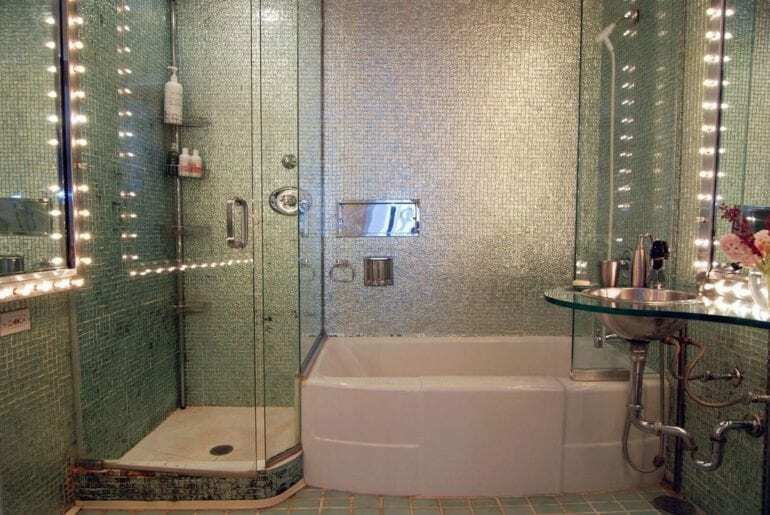 The master suite has its own bathroom with a spa area including a sauna and steam room. Keep passing through, and you’ll approach the lower level of the home. 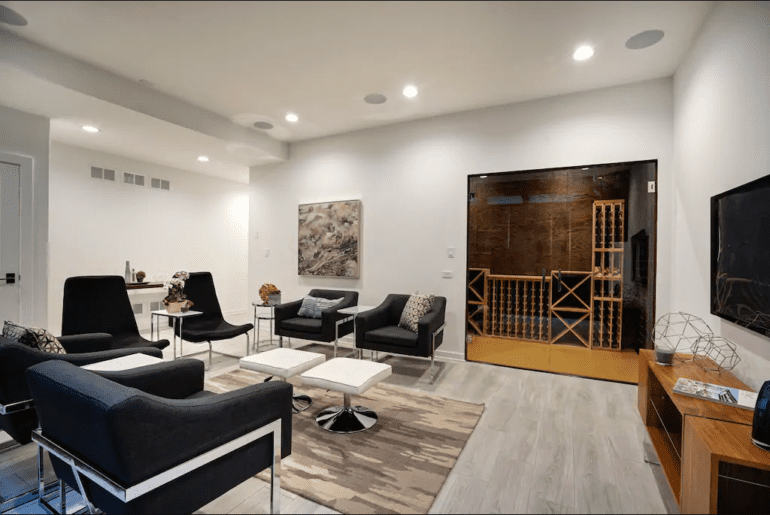 Here you will find the media room and private wine cellar. 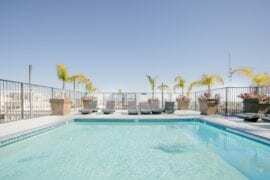 Hop in the glass elevator and head to the rooftop deck. 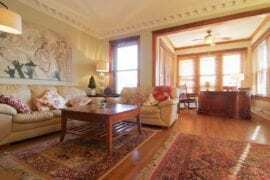 Soak in the views of Rush Street and the lakefront from the comfort of your own home. If you are renting a car, no worries! You have access to the attached four-car garage!